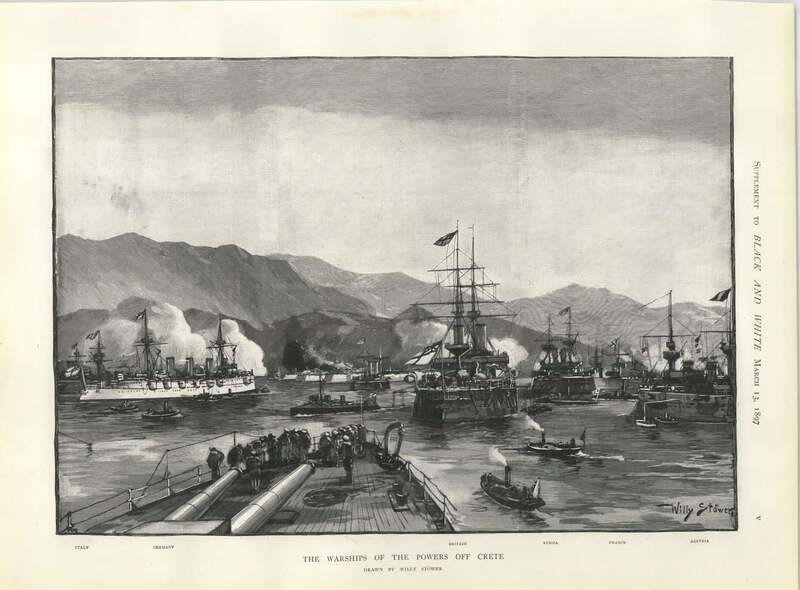 Bombarding the Cretans | The British in Crete, 1896 to 1913. 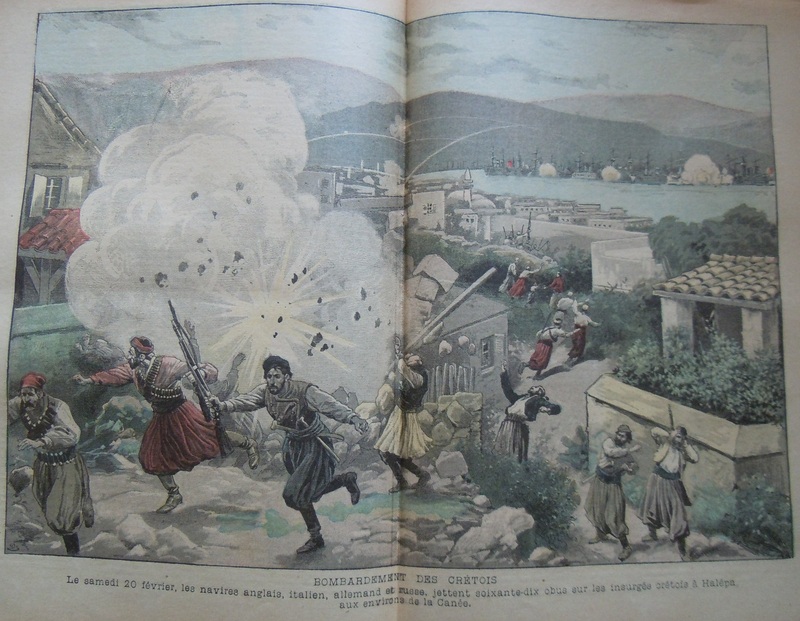 On 21 February 1897, European warships opened fire on Cretan Christian insurgents camped at Halepa, Canea, who were threatening to open fire on the town. Although the bombardment didn’t last long and the Cretans withdrew, hauling down the, then illegal, Greek flag from the flagpole, the alleged actions of Spyros Kayales did generate their own mythology. Needless to say, the European view of events was slightly different from the Cretan Christian view. 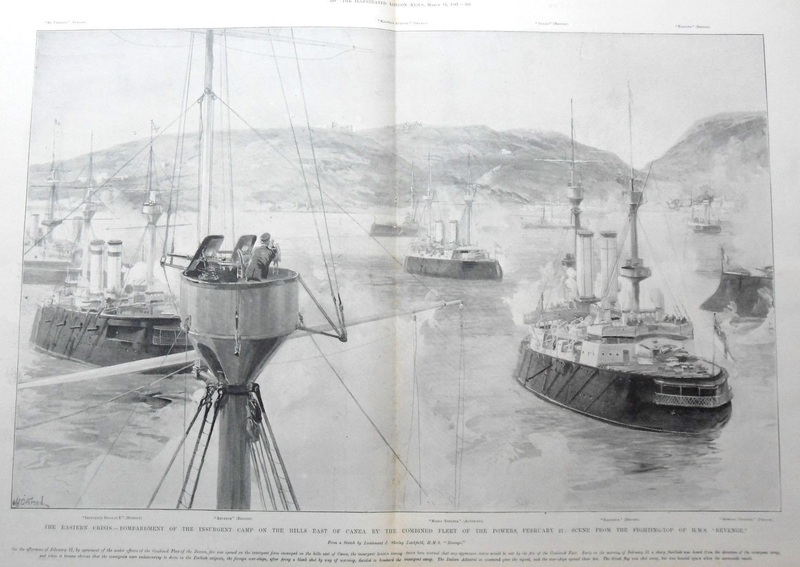 French and Russian warships off Canea. H.M.S. Camperdown firing main armament at insurgents. 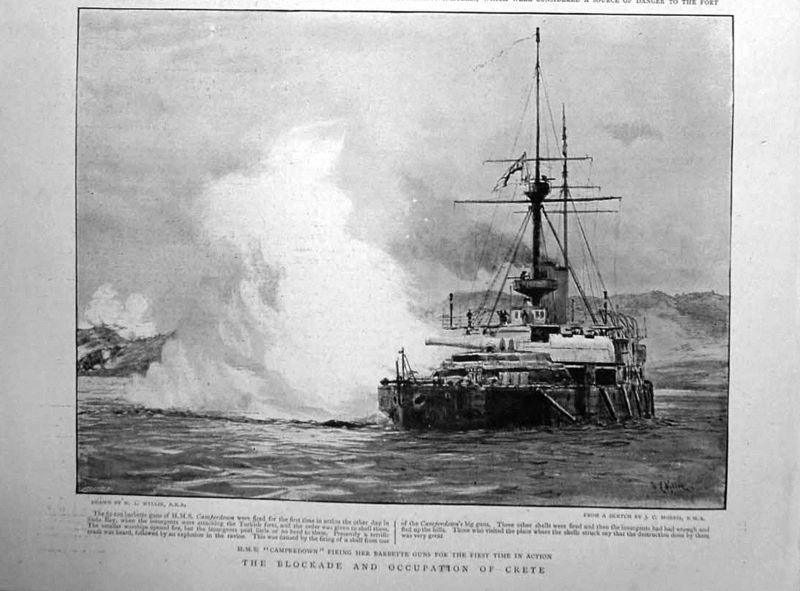 Bombardment as viewed from British ships. 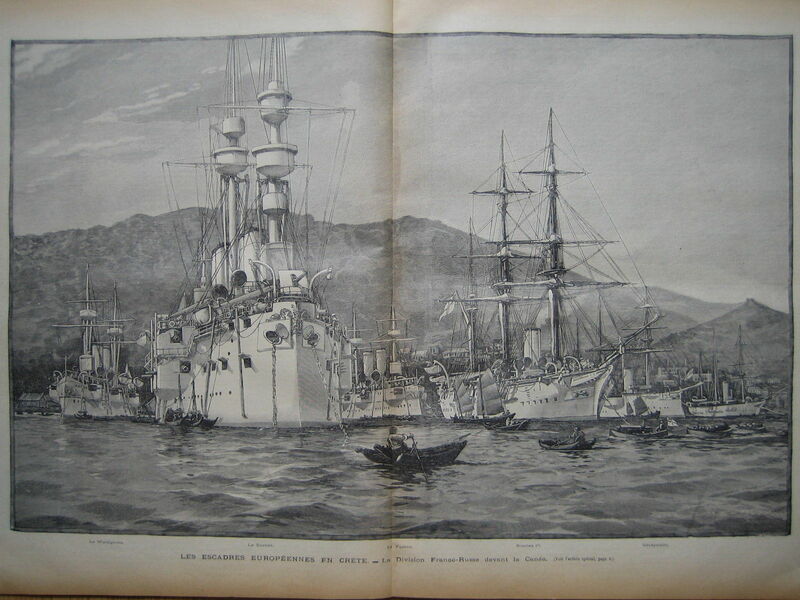 French view of the results of the bombardment. 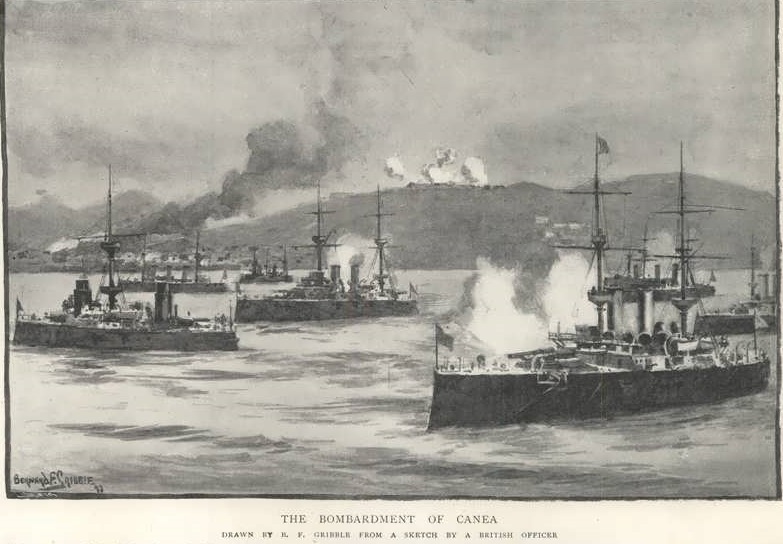 This entry was posted in Cretan Rebels, European Intervention Crete, Naval, Royal Navy in Crete and tagged Bombardment of Canea, Crete 1897, European Intervention Crete, H.M.S. Camperdown, Halepa, Kayales Spyros on September 14, 2014 by Mick McT.